Disney's The Nutcracker and The Four Realms is an unexpected twist on a true classic. I went into the theater expecting a little magic and light pixie dust sprinkled on the traditional Tchaikovsky tale. Instead, an unexpected adventure burst onto the screen and took me on a whirlwind trip through a world that is a little odd and very alluring. 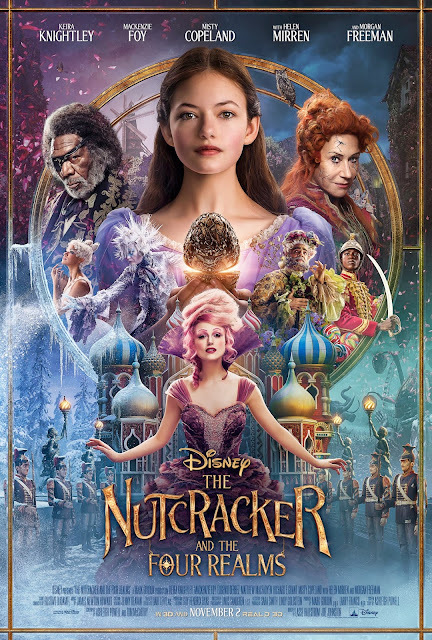 The story follows Clara's (Mackenzie Foy) journey into a parallel universe as she seeks a key gifted to her by her late mother. Clara's adventure takes her down a "rabbit hole" reminiscent of Alice's journey in Wonderland. 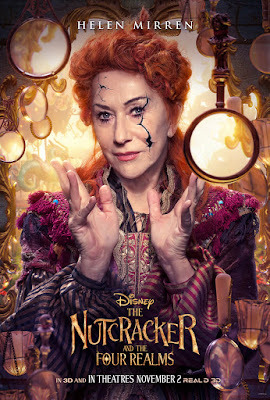 I found the experience full of nods to Cinderella, Peter Pan and Fantasia. The familiar overtones helped me reconcile the odd feelings I had about the Narnia-like lands and characters being introduced. 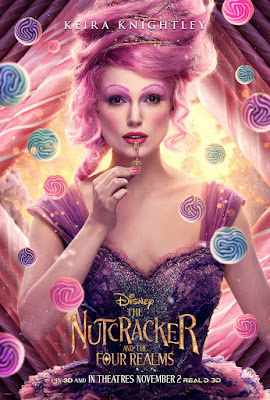 Keira Knightly's Sugar Plum Fairy is deliciously vibrant. Her magnificent cotton candy hair deserves a review all its own. 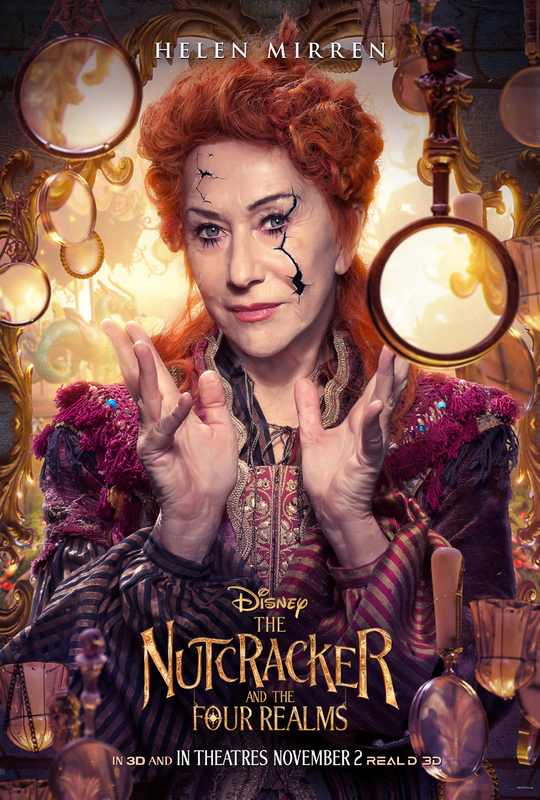 Helen Mirren is unrecognizable as Mother Ginger. She is a force to be reckoned with. Jaden Fowora-Knight's loyal, NutCracker soldier Philiip is easily the best character of the bunch. I see good things coming for the charming Mr. Fowora-Knight. 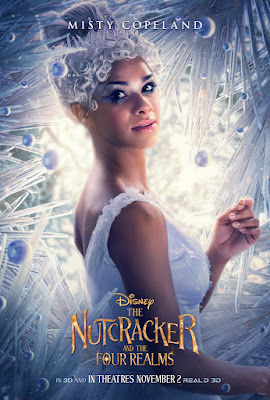 The exquisite Misty Copeland dances beautifully but I would have liked to have seen her play a bigger role in the film. 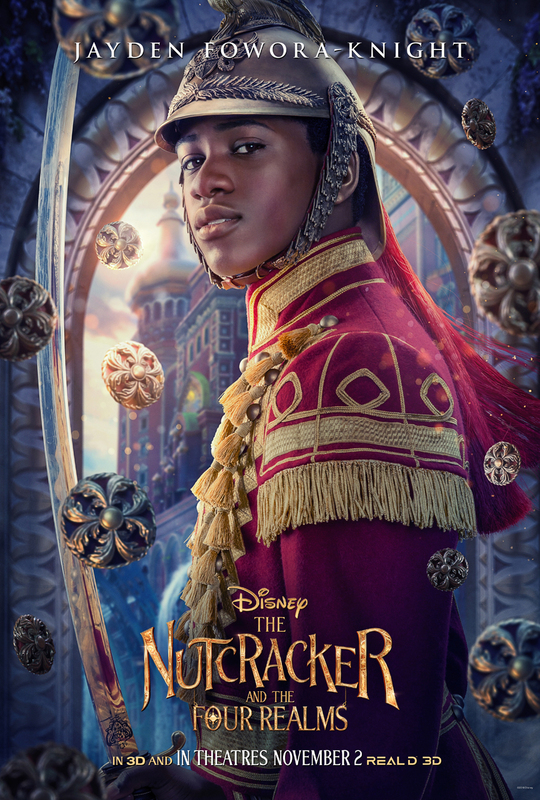 Disney's Nutcracker is artsy, unexpected and full of twists. It will not appeal to everyone. Those looking for a more traditional Nutcracker experience are out of luck. 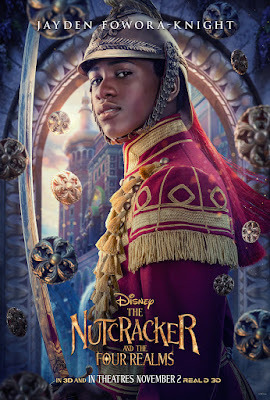 Disney's Nutcracker is both heart warming and heart breaking. Aren't most Disney tales? There is sadness, war and a deceased mother who played favorites where her children were concerned. Disney's Nutcracker is fast paced, colorful and the kids will like it. Adults looking for a more traditional tale will likely leave disappointed. The stunning wardrobe and settings will give everyone a thrill. Dance fans of all ages will be blown away by the incomparable Misty Copeland. Stay through the credits, Disney pulls a Marvel! I am really looking forward to seeing this film! I appreciate your honest review and will not expect more but just delight in everything this story represents! Nutcracker is one of my favorites. Thank you for this review! It’s always good to go in with a good idea of what to expect! RUMOR: Is this Farewell to Rock n Rollercoaster?